Drink Plenty of Water for Beautiful Skin ! 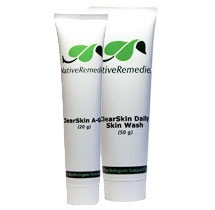 A lot of people with severe acne seek advice from doctors and specialist dermatologists. Some sufferers use over the counter treatments, some have prescription treatments and others prefer to use natural methods. There is a lot of anecdotal promotion of the merits of one treatment or another and it all gets very confusing. You just have to see which acne cures work for you and it may be a case of trial and error. There are some experts who say there is no such thing as a cure and that you should disregard such claims. Whatever the claims and counter claims of different sorts of treatment, prevention is certainly preferable to acne cures. It’s worth a try anyway. Attention to diet is important and avoiding fried foods, and refined and processed foods in general is a good start. Also, try to cut down on caffeine, alcohol, soft drinks and tobacco. Eat lots of fresh vegetables and fruit, and drink plenty water. Eating irregularly can cause constipation and this can promote acne because the toxic material has to break out somewhere. It may not be possible to prevent the acne but you may be able to lessen its effects. If all measures fail, it’s time to decide on which of the acne cures to try. There are numerous gels, lotions, creams and solutions on the market. Benzoyl Peroxide is a common ingredient in over the counter medications and some people have found that it works very well, especially when combined with regular cleansing and moisturizing. Other acne cures are antibiotics, salicylic acid and sulfur. Other people prefer to try vitamins or natural herbal remedies These are all easily available as acne cures. Vitamin A and Niacin is recommended, and also Zinc tablets. There are a number of home remedies that you could try. Some sufferers apply orange peel crushed with water or lemon juice. Another acne cure is coriander or mint juice mixed with a little bit of turmeric powder. Others apply grated cucumber leaves or crushed garlic cloves. You could also try an overnight face mask made from mashed up fenugreek leaves, to be washed off when you wake next day. Tea Tree Oil is said to be another acne cure. You can also bathe in a soothing hot tub of Epsom Salts. Whichever method you decide to use, don’t undo the benefits of your acne cures by picking at the skin. Also, don’t make it worse by scrubbing at the acne with any harsh material. Be kind to yourself!